Chalet from 1970, renovated between 2004 and 2018, located on the southern slope, 2.5 km from the village and 4 km from the ski lifts. In summer, leisure base 4.5 km. 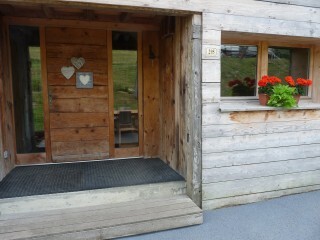 Chalet located 800 m from the center of Samoens, 400 m from the ski lifts and a 50 ski bus stop. In summer, multi-sports leisure center and swimming pool 200 m.Giffre river at 100 m.
At 100 meters from the village , the Douglas cottage, invites you to stay in its old wooden decor, rated 5 * for 7 persons, in exceptional comfort : bathroom , toilet and flat screen TV in all the rooms. "The Clos des Cimes" is located at the foot of the Massif du Criou, in the great plain of Vallons. 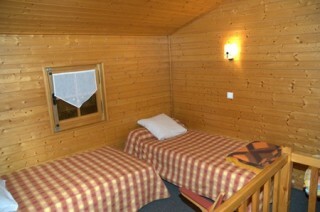 Many hikes from the cottages, winter cross-country skiing and snowshoeing 500 m from the chalet. Skibus stop at 100m. 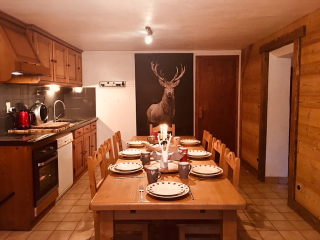 Detached savoyard chalet sleeping 4 people, 400 metres from the village centre, 300 metres from the ski bus stop and 1.5 kms from the chairlift. Balcony, terrace and garden. At 1km from the center and overlooking the village, this cottage is close to all amenities and activities, while being slightly away. Cottage 4 cottages built in the tradition of stonemasons. Old Mazot traditional alp in a natural setting 1km from the village center and 250 m from a ski bus stop. 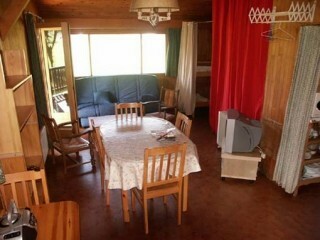 Chalet adjoining a small chalet for 4 people, located 1.5 km from the center of Samoens. Ski bus stop 150 m and ski lifts 2.5 km. In summer, leisure center at 3 km. 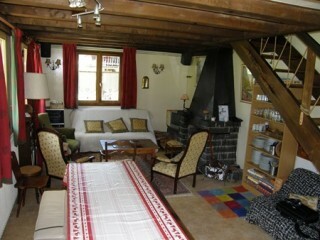 Small cottage adjoining a chalet for 12 people for rent, located 1.5 km from the center of Samoens. Ski bus stop 150 m and ski lifts 2.5 km. In summer, leisure center at 3 km.